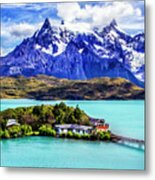 There are no comments for Lago Pehoe. Click here to post the first comment. 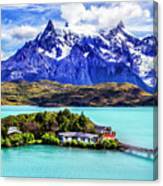 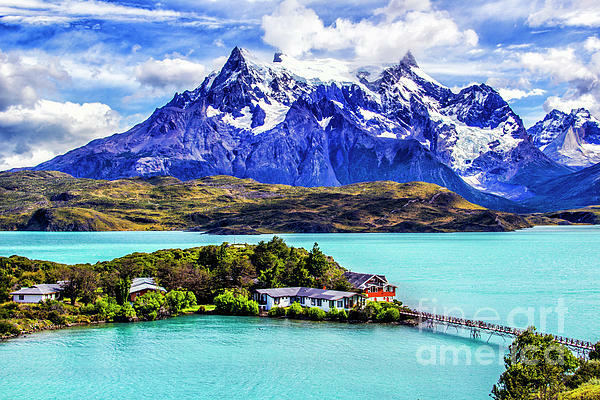 This view of Lago Pehoe shows the mountain Paine Grande and the Hotel Pehoe. 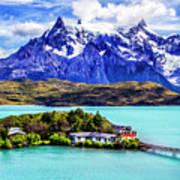 This scene is in the Torres del Paine National Park in the Chilean Patagonia.